Choose from our scheduled and Contiki Tours in New Zealand. Experience the Sun in the Bay of Islands and steam at Rotorua. Tour Includes Quad, Twin-Share or Single Accommodation & Meals. This 7 day North Island tour visits the stunning Bay of Islands and a full day tour to Cape Reinga, Maori hangi (meal) and concert, Rotoruas Geothermal Wonderland, and a sightseeing tour of Auckland. Experience a brilliant mix of sophisticated cities and panoramic landscapes with Contiki. North Island tour features the stunning Bay of Islands, Maori hangi (meal) and concert in the amazing Geothermal Region of Rotorua, the remarkable Waitomo Glowworm caves and a sightseeing tour of Auckland. Starting in New Zealands capital Wellington, Lake Taupo and Huka Falls, Rotorua and its Thermal Wonderland includes Maori hangi and concert, Waitomo Glowworm Caves, Auckland and the picturesque Bay of Islands. 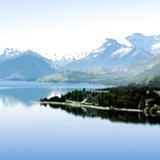 A 8 day tour joining the major highlights of New Zealands North Island. 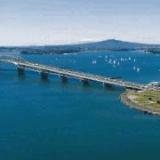 The itinerary includes Bay of Islands and day trip of Cape Reinga, Maori hangi (meal) and concert, Rotorua, tour of Auckland, Napier, Lake Taupo and Wellington. An 10 day itinerary linking the numerous highlights of the North Island including Wellington, Lake Taupo, Rotorua Thermal reserves, the remote and spectacular Coromandel Peninsula and the amazing Bay of Islands. Contiki’s New Zealand Ultimate Winter Adventure is just that - an action packed holiday with all the skiing and boarding you can handle. Explore with Contiki the South Island which boasts glorious coastline and magnificent national parks where breathtaking alpine scenery rises to icy blue glaciers and ancient fiords. South Island stunning beauty. Sightseeing includes tours of Christchurch & Dunedin, spectacular southern lakes and the awe inspiring Milford Sound as well as the magnificent Fiordlands and Glaciers and much more.